Regrouping to "finish unfinished business"
...here! 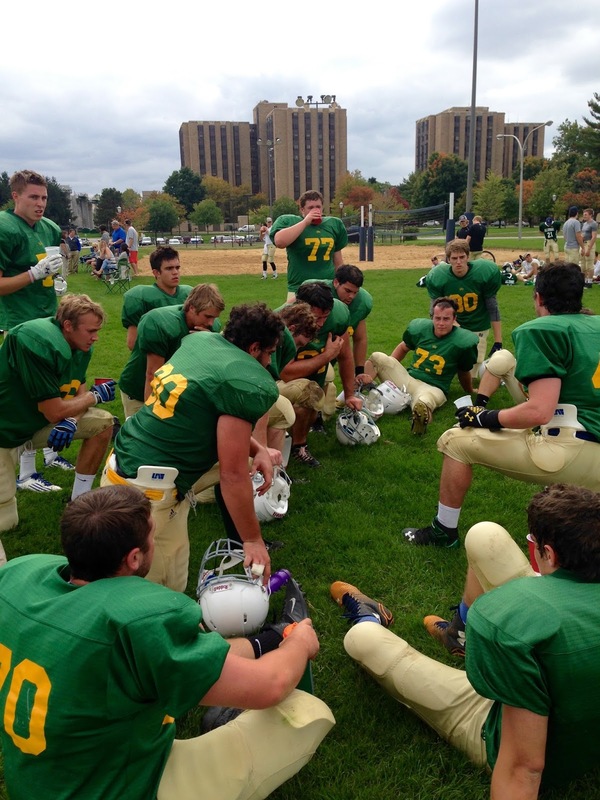 The Steds inter-hall football team continues to show its resolve and dominance on the field as they took down a small, yet powerful, squad from Carroll Hall this past Sunday. The Steds squad was aggressive from the start, sacking the Carroll quarterback several times. Continuing the pressure on the quarterback, the Stedsmen harried and hurried him, forcing interceptions that resulted in points on the board for the Gentlemen. Victory was sealed in the last seconds of the game as Parker Mathes, Steds sophomore, intercepted Carroll's two point conversion pass in the last seconds of the game. On the interception, Mathes said, "It was a moment of clarity for me. I saw right into the eyes of the quarterback and knew that the ball no longer belonged to his team. It was a total team effort, and I owe it to my teammates." Mathes' sediments were confirmed by his teammates. On the game and incredible teamwork demonstrated on the field, Alex "Schelly" Schelhorn said, "It was the perfect team game. Everyone played their hearts out. We dominated on the gridiron, and as most analysts are predicting, we've started a championship run. For Steds, this was win number 2 of 7, but then again, who's counting?"